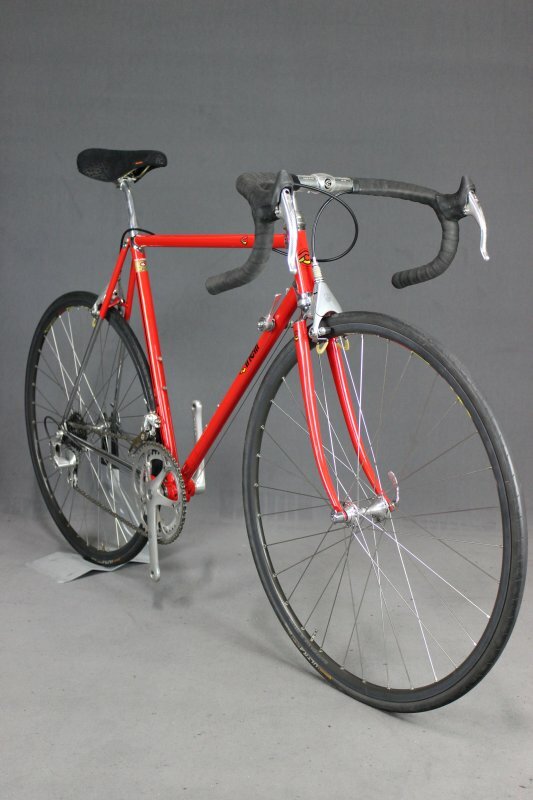 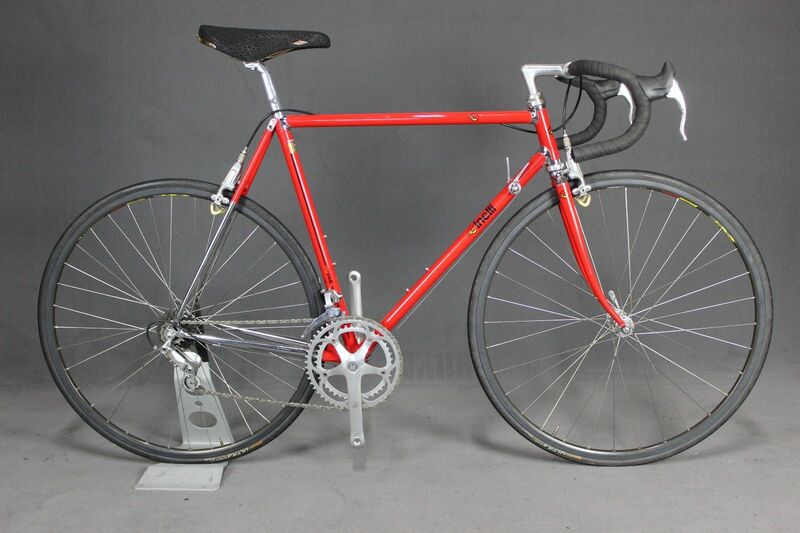 Here is a beautiful bike - an Italian built Cinelli Supercorsa in red with chromed lugs. 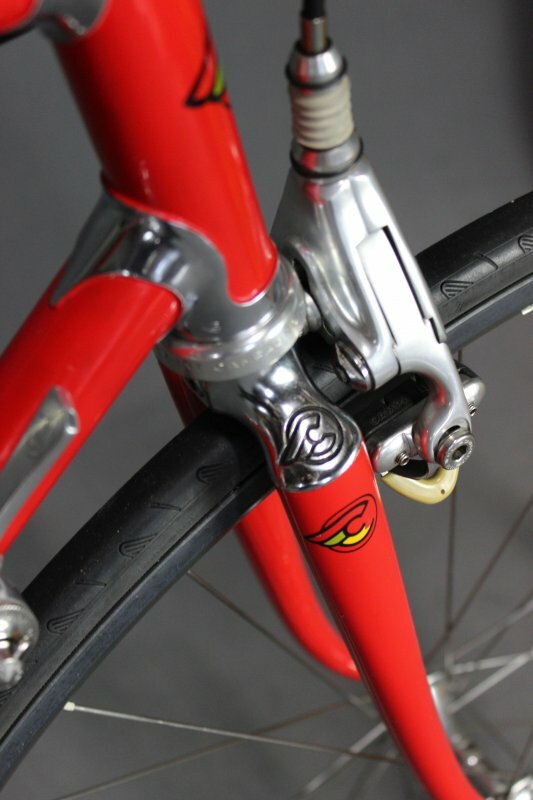 First produced by Cinelli in 1960, the Supercorsa was introduced as the Model S.C. 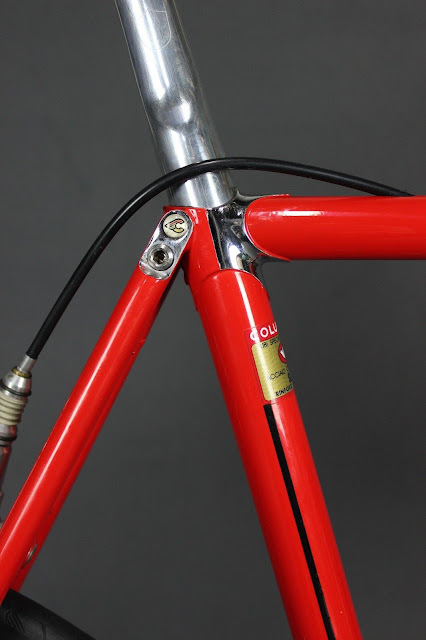 Since then Cinelli have continued manufacturing the steel Supercorsa frame which has become a very collectable item for those interested in vintage bikes. An outstanding feature of the frame is the famous Cinelli flying 'C' logo pantographed on each side of the fork crown....a beautiful addition to an already stunning frame. 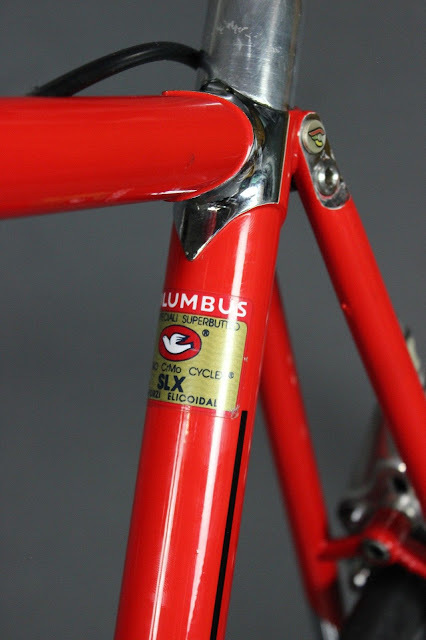 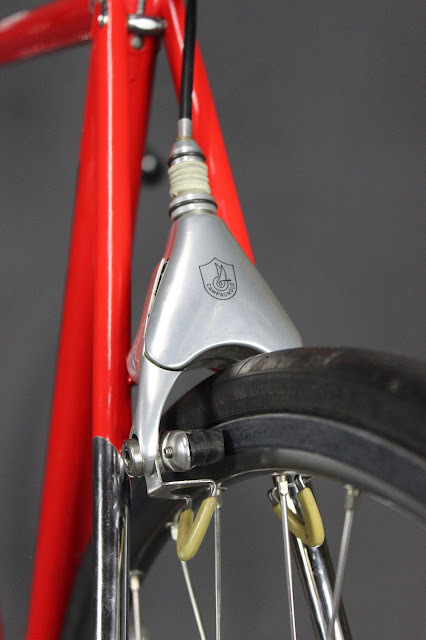 This bike features Campagnolo Delta brakes which were way ahead of their time. 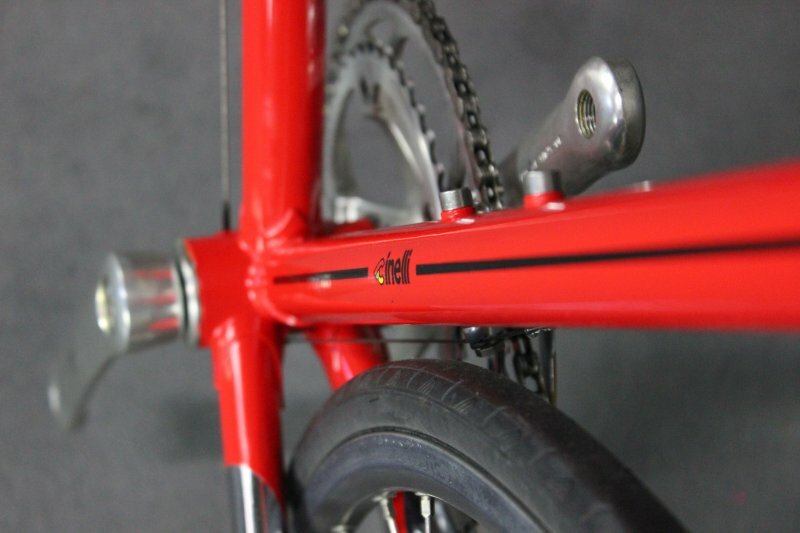 The Supercorsa frame features the 'fast back' seat post bolt system that was first introduced by Cinelli in 1953. 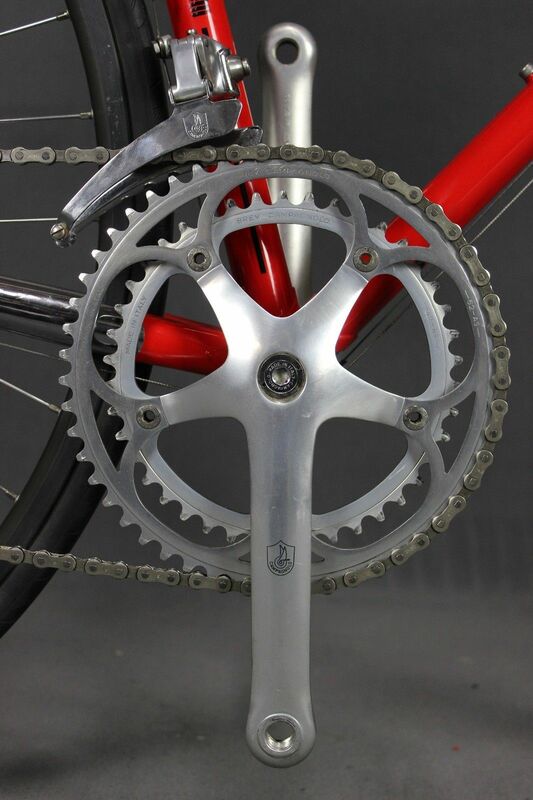 The drive train is a Campagnolo C Record 7 speed groupset, which was a high end groupset that was very typical of the time. 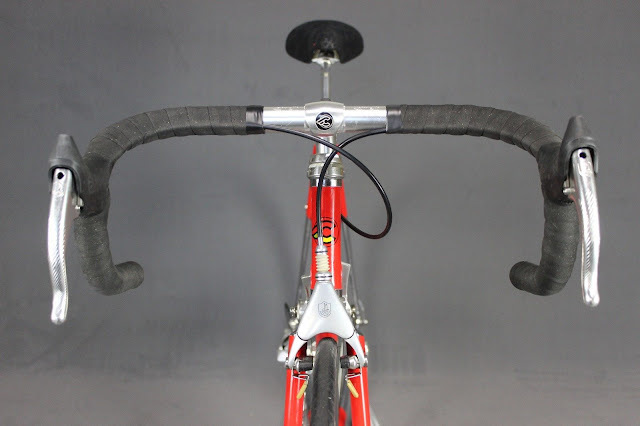 The frame is fitted with a standard Cinelli 1R 26.0 stem and Cinelli handlebar. 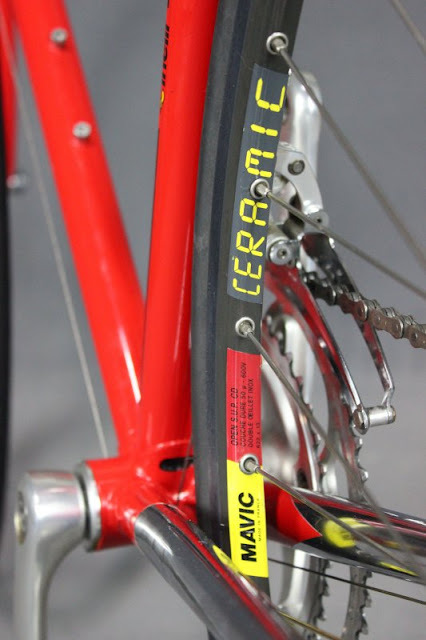 The bike glides along on Mavic Ceramic rims that were first introduced by the French wheel manufacturer in 1991. 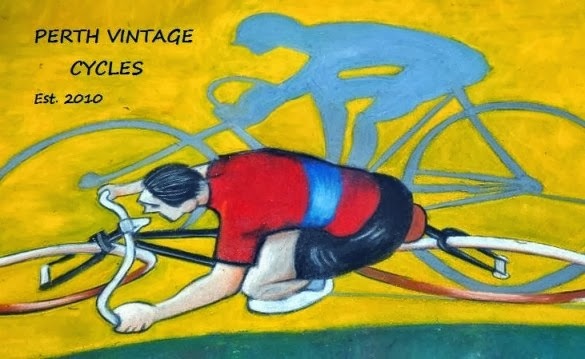 Safe riding.... James @ PVC. 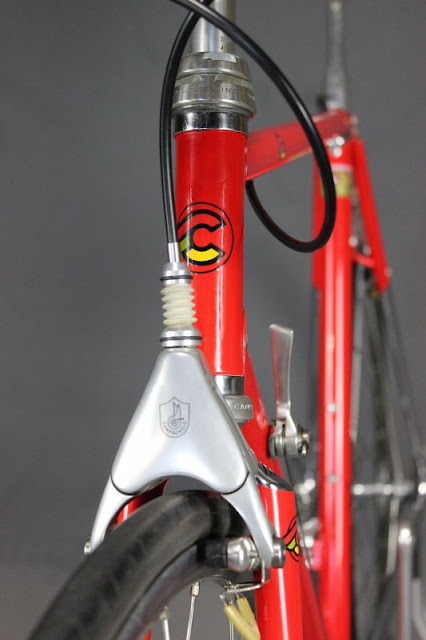 Labels: Campagnolo Delta brakes, Cinelli logo, Cinelli Supercorsa, Mavic Ceramic. Now that's a classic bike! But I can see how some of the newer bike units on the roads in Perth South could have stemmed from the original bike solution design like this one.